With the wealth of options out there for lens-adapting and DIY modifications, many industrious photographers are taking things to the next level. The process of adapting anamorphic projection lenses to a take-up lens has been well-established for years now. This results in a squashed image that can be stretched in post-production to a wider ratio. It’s a form of panoramic images that have a distinct cinematic look thanks to the unusual bokeh and interesting flare. 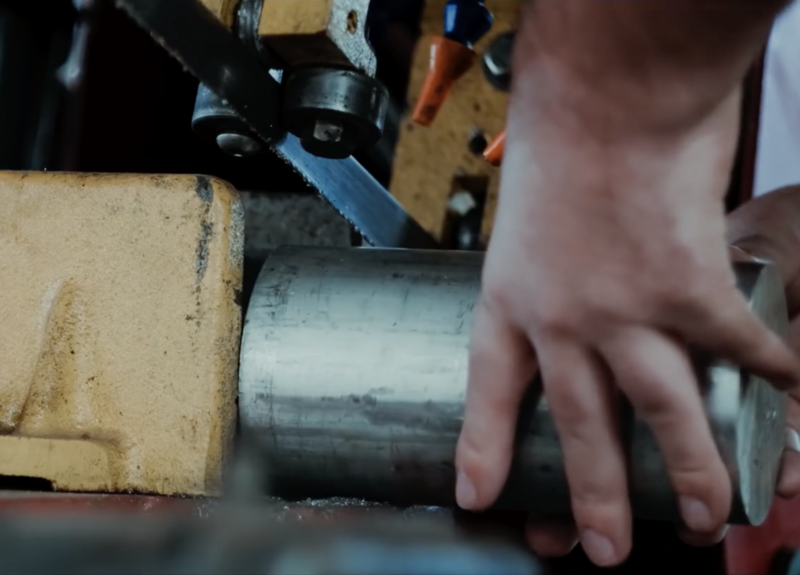 Casey Cavanaugh, or as he's known by his YouTuber moniker, GxAce, has expanded on this idea by adapting an anamorphic lens to his Hasselblad 500C/M using a DIY machined lens mount that makes the alignment match up perfectly with his chosen take-up lens, the Zeiss 150mm f/4. 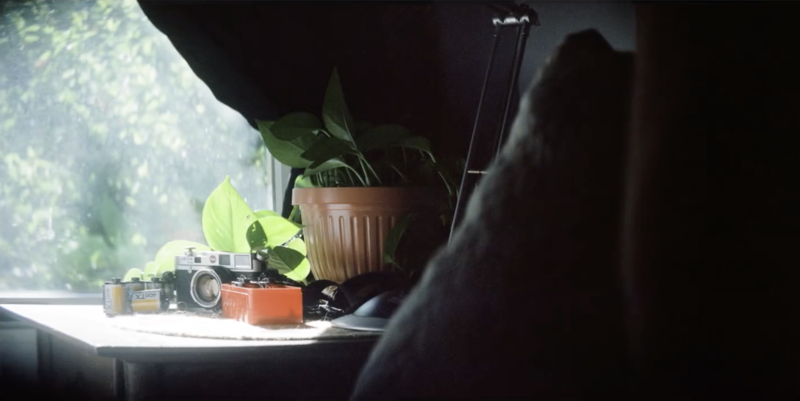 The anamorphic lens he chose for this is the Sankor 16C 2x, the 2x being the ratio of the lens, which results in a wider ratio for the image than the more traditional 2.35:1. His end result is a modified outfit that suits a medium format film setup, and if you are looking for an Xpan-like film experience in a medium format body, then this could be a great way to go. I have been shooting video with projector anamorphic lenses for a few years now as they are the far cheaper alternative to actual cinema anamorphics. With the 2x anamorphic that I have, the aspect ratio is rather wide when paired with a 16x9 sensor, and as a result, you usually have to end up cropping the sides off the image to get a more normal widescreen image, which isn’t the most ideal scenario. One day, I had realized that 6x6 medium format would actually get me a lot more pleasing image straight out of the camera and would get me much closer to my desired 2.35:1 aspect ratio. My first attempt at mounting an anamorphic was to a Mamiya C220. This setup was extremely cumbersome because of the nature of a twin lens reflex. You needed to first mount the lens to the focusing lens on the Mamiya, focus both the anamorphic and the camera, and then move the anamorphic down to the taking lens and hope everything was still in focus and the anamorphic was still aligned and take your shot. When I later came across a cheap 500C/M, I knew I had to try this setup again but with the relative ease of an SLR. My inspiration for pursuing a similar setup for crop-frame was a conversation I had with a unit stills photographer who was showing me his previous work from a feature film. He had taken a remarkable portrait with an Xpan and the 90mm f/4 lens. The cinematic nature of the panorama photo coupled with the image itself set me off on a quest to produce similarly styled images. The Xpan was out of the question at the time, as the price was too prohibitive. After some research, I discovered small filmmaking communities online who were adapting anamorphic projector lenses to the front of a take-up lens. This was a much more affordable endeavor, so I was off to the races. I put together a Kowa 2x anamorphic lens and paired it with the required clamps and step-down rings to get it mounted onto a Canon 50mm FDn f/1.4 lens. The crop factor of my Fuji X-T2 meant that 50mm was the lowest focal length I could go, as vignetting would become more apparent lower than that. In all, it took me about a week to find the stuff I needed. But as luck would have it, soon after putting my Canon and Kowa kit together, I ended up scoring that Xpan gear so the lens and adapter combo was left by the wayside on my ever-expanding and needless G.A.S. shelf. Unfortunately, I just recently sold my anamorphic lens and with this DIY solution, I think I may regret that. I have a great Hasselblad 500C/M to pair it with, so I guess it’s off to eBay to try to hunt another one down. So, I'm an amateur machinist at best and am mostly self taught (with the help of some awesome friends at my local maker space). The adapter took somewhere between 4-6 hours to make, from cutting the raw aluminum, measuring, turning on the lathe to drilling, and tapping the screw threads. The biggest obstacle was and is really the dual-focus nature of the setup. Due to the design of this particular anamorphic lens, you are required to focus both the camera lens and the anamorphic lens to achieve an in-focus image. This was further complicated by the fact that the distance scale on the anamorphic lens did not correlate to that of the Hasselblad lens, so you had to really just hunt around with either lens until it was in focus. I solved this issue by setting up a series of focus targets and measured them out with a measuring tape. I then made sure it was completely in focus and then labeled a piece of gaff tape on the anamorphic lens with the new correct distance. Now I guess a ballpark distance by sight and focus both lenses to that distance and then do a small final adjustment, and it’s in focus! Cavanaugh said that he went through two different adapters before settling on his third version. 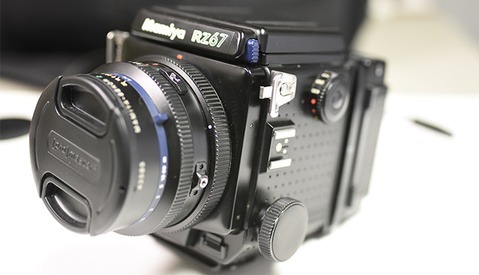 The first two consisted of an adapter for a Mamiya C220 followed by a rough version for the Hasselblad setup. The third one is the one he used for the actual video production and incorporated some final changes to address small issues from the previous version. When asked about taking orders for adapters, Cavanaugh said: "I have considered it and actually have received a few requests for commissions; however, with a one-man operation and no CNC, the prices wouldn’t be super cheap since the amount of time alone is a significant investment for me. I’m really giving it some thought." For Casey's next project, he wants to adapt a Nikonos 35mm f/2.5 lens to Leica M-Mount after being inspired by the works of Miyazaki-san of MS-Optical and boutique Leica lens fame. As far as the Hasselblad kit goes, I think this one is a rousing success. Nathan McMahon is a photographer hailing from Los Angeles. When he's not taking photos, he's buying and selling so much gear that he gives G.A.S. a hard time. Seriously. He can't stop buying stuff. But he eventually sells it all anyways. He's gotta make money somehow. Why are you guys so late on stories? Honest question. This was post on November 10th on Petapixel.